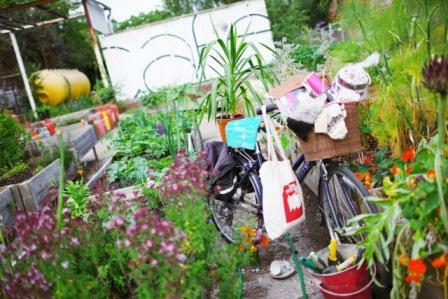 Artists, makers and vendors are invited to bring along their bikes and their wares to the Bicycle Basket Bazaar (BBB), taking place at Edible Eastside as part of the Warwick Bar Summer Fete. BBB is a celebration of bicycles as well as products, so be prepared for some creative space uses; small crates and boxes are allowed to display goods, but tables are a definite no. Handmade, homemade, vintage, collectibles, and upcycled items will be available to peruse and buy, and bikes may be used for artist projects and performances. Allowed: Handmade, home made, upcycled vintage and collectibles, interesting projects, good cheer, rays of sunshine. Goods Not Allowed: Livestock, poison, new goods (bought in products), bad news, dark clouds. For more information or if you’d like to take part in BBB, please send an idea of what you’d like to sell or do with your bike to Trevor Pitt at trevor@podprojects.org.